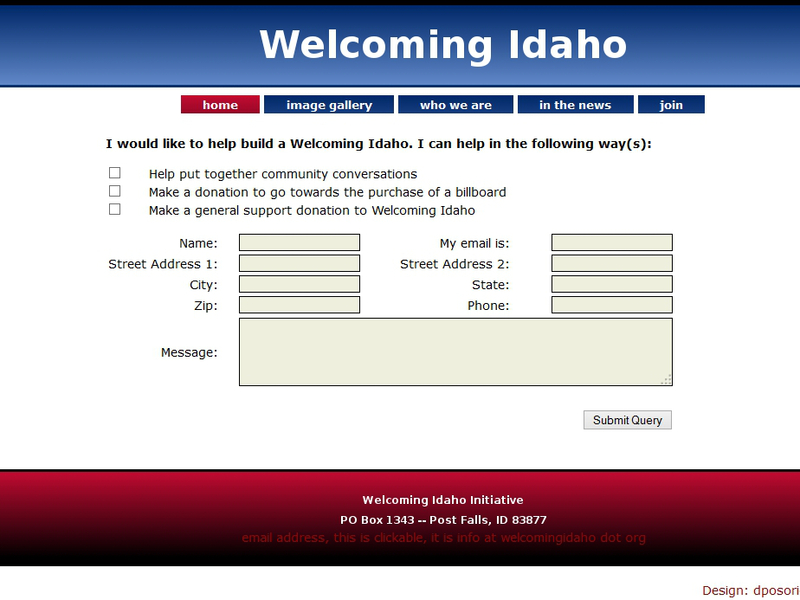 Welcoming Idaho | Building Websites for the People! 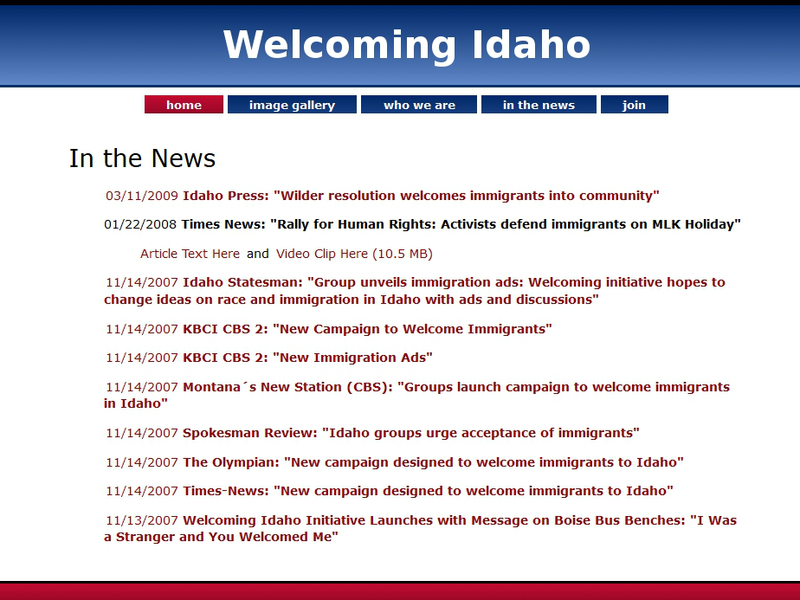 Welcoming Idaho ran from 2007-2014. 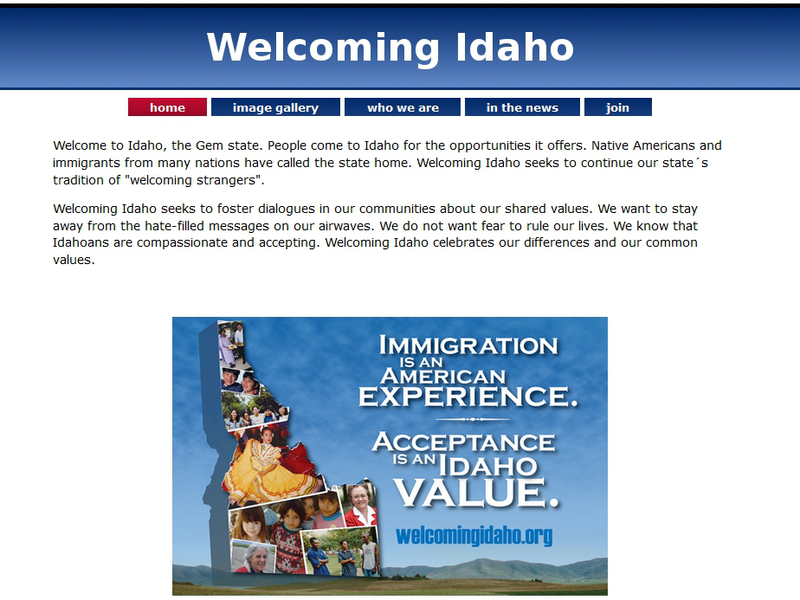 It was a campaign website commissioned by Idaho Community Action Network on behalf of a coalition. The website contained graphics that were copies of advertisements used at across the state. 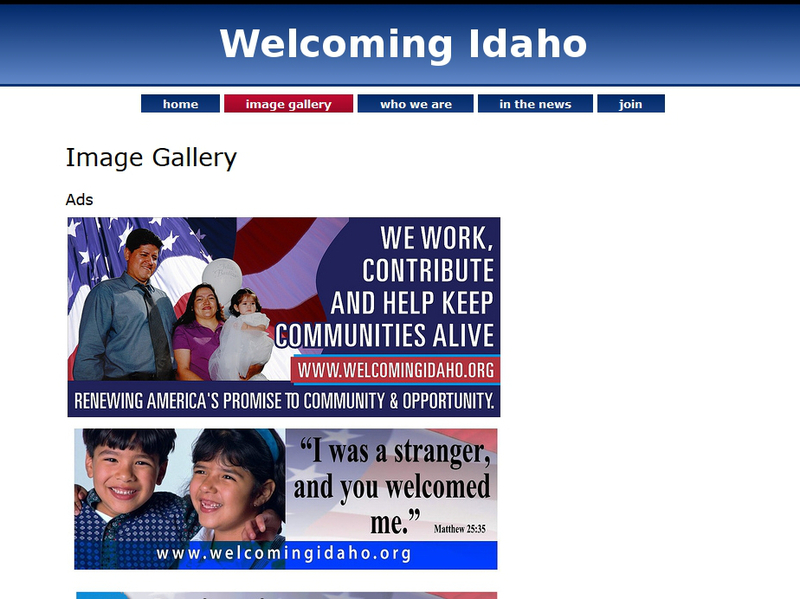 There was a photo gallery and other resources celebrating the immigrant experience in past and present-day Idaho.